- Home Offices, Shops, etc. Repainting your home is potentially a very stressful undertaking! We've been providing quality repainting services to Home Owners / Investors and Builders for over 35 years. Our experience can make all the difference for you. 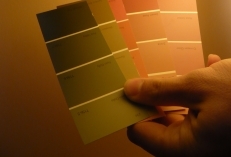 Why consider repainting your home ? - Your home needs protection from the weather - the powerful sun, rain, moisture, corrosion, etc. - Repainting when it's due can often mean the difference between repainting surfaces or replacing the surfaces. It's much cheaper to repaint than replace windows, with a whole renovation being required. - A fresh and bright look, removing that tired, boring or yellowed look? - No more being embarassed when having friends or family around. - The Value of your house is automatically increased.